Compact, snug, and just right if you don't mind the lack of bass. 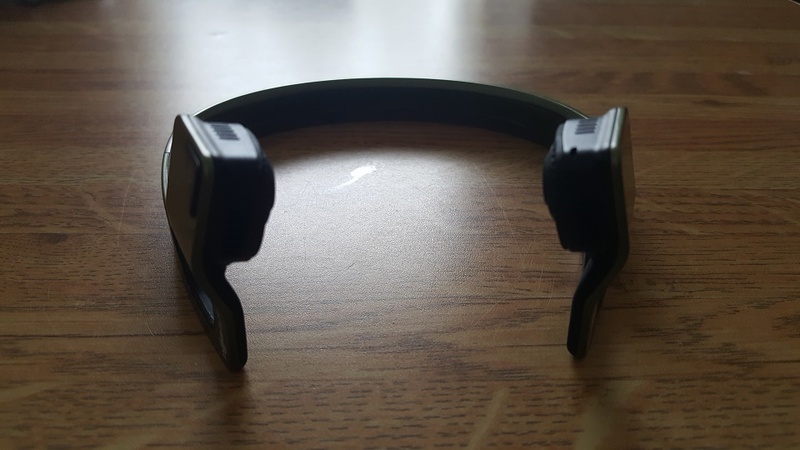 Aftershokz Gamez: I've mentioned this product before a few weeks ago, and since that time, I've been sent a couple samples to test them out. Granted, this is my first ever accessory review, so please bear with me. Alright, first of all, let's talk about the specs before we dive into anything else. 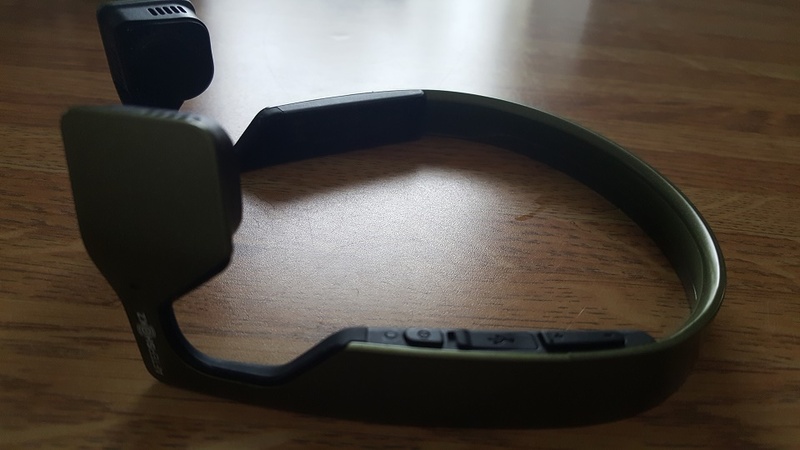 It's a bone conduction headset that focuses on situational awareness, safety, and comfort. It's mainly designed for the PC, Mac, and mobile, and it claims to be lightweight with open ear design as well as Premium Pitch+ audio, which allows for powerful wireless audio and sound. Additionally, it's sweat, moisture, and dust resistant, and provides over six hours of gaming audio and calls. They also claim for this headset to feature a dual noise canceling mic. So is it a success in my book? You betcha. So let's delve a little further into this. 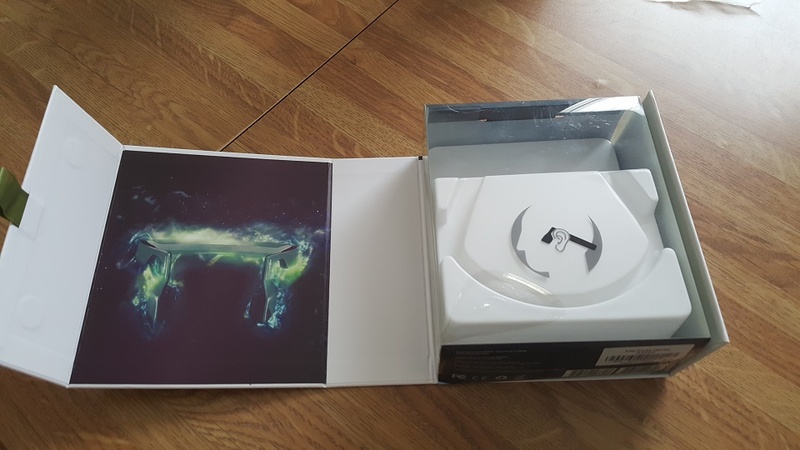 The packaging is extremely neat, unfolding thanks to a magnetic strip in the box. The headphones are set snug in the center, but underneath the headphones are the additional components, which include two reflector stickers, one band to attach to the headphones (assuming support), a mini-usb cord, and a small bag to carry it all in. All in all, the packaging and organization are simply stunning. When Aftershokz claimed the headset to be sweat, dirt, and dust-resistant, they weren't lying. There was a point where I actually left my Gamez headset lying around for a few days during my move, and lo and behold it looked clean as a whistle. Despite that, Gamez is also quite sturdy. Admittedly, I'm not the most careful person in the world, and I've dropped them a couple times, but needless to say, not one scuff was seen. But what about how well they had fit? Well, the positioning was hard to adapt to at first. The headset actually fits snugly behind your head, but the speakers are pressed against your cheekbones rather than inside your ears--hence the bone-conduction technology. This, at first, felt a little uncomfortable, but it was easy to adapt to, and before long, it felt quite comfortable and sometimes not even noticeable. It can still be a little uncomfortable when you're lying down (if you have the rubber support). But when standing, sitting or lying on your side, it's comfortable, even after long periods of time. The headset is easy to use. There are two volume settings plastered on the right side of the headset, and of course a power button that's right next to these settings. The power button also serves as a Bluetooth connector between devices, making it incredibly easy to use; all you have to do is hold down the button for a few seconds to sync with the device. As for sound, the sound is mid-tier. By that, don't expect there to be heavy bass or anything, but do expect crisp, clean surround sound. This device has some power packed into it; even at lower volumes, I could hear it clear as day. Not only that, but the headset is designed for outer awareness; you can easily listen to people talk to you as you listen to music, for instance (in the case of gaming, that could happen frequently if you live with others). In other words, this headset doesn't completely preoccupy your ears; your ears are free for the taking. Now, as I mentioned earlier, this headset is my first wireless headset, ever. I've never owned any wireless sound devices before now, so bare with me please. First, the battery. I absolutely have no qualms whatsoever about the battery. Though it claims to last up to six hours during active use, it's lasted far longer than that. Whenever I go to bed, I fall asleep to Netflix with my headphones on, only for me to wake up with the headphones still running on the battery. That could be anywhere between six to ten full hours. And then some, because on idle, it lasts at least sixteen hours. So in other words, it actually lasts LONGER than advertised, which is a huge plus. However, I have to say that the only disappointment I absolutely find (besides having no bass), is the fact that there isn't an auto-shutdown feature for the headphones after a certain timeframe. That's really the bummer here, because it'd save so many charges and I'd like to be able to rely on the headset during most times. I tested these headphones on three different devices: the PC, my mobile phone, and my PlayStation Vita. This headset is for gaming after all. So first, the phone. It works beautifully with my phone. The sound is pronounced, and I could be heard clearly through the microphone during any phone conversation. The same goes for the Vita, though I haven't actually used the voice chat function on it. It did connect with the Bluetooth during my playthroughs of The Legend of Heroes: Trails of Cold Steel and bore the same sound quality as the phone. However, as for the PC, I have mixed feelings. I tried the headset with Final Fantasy XIV. The sound came in crisp and the surround sound worked perfectly, but the lack of bass in this game diminished my own sound experience some. But what was a problem was the fact that the game was incompatible with the headset after a certain point. After about five minutes of using the headset with the game, the game crashed. From that point onward, it repeatedly crashed just after entering the game. I used another Bluetooth device (a controller), and it seemed to work fine with the game, so I fear that the headset may have some incompatibilities with some games. Or perhaps it is vice versa. Unfortunately, I couldn't diagnose the issue. Overall, for the pricing, this is a great headset. It's very comfortable, lightweight, and very resistant to dust, sweat, and scuffs. The reflector stickers are an added touch, and the sound comes in strongly and accurate for your gaming sessions. As I said, the only issues I have involve one of my games crashing with the headset, and the other to be an extreme lack of bass. 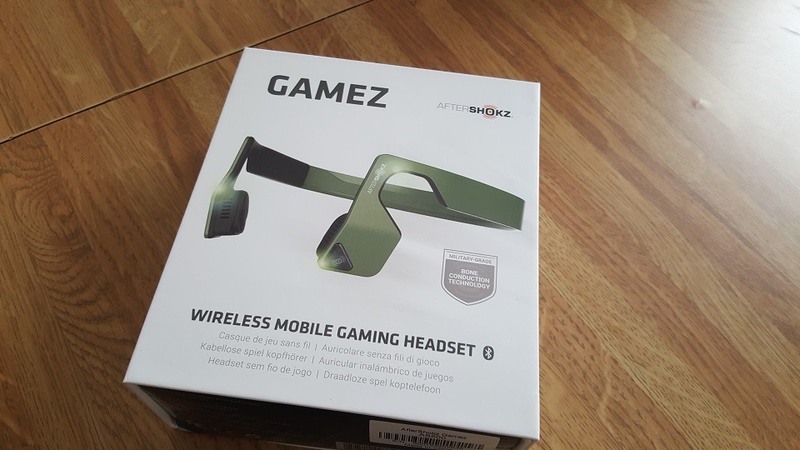 To conclude, I'd solidly recommend the Aftershokz Gamez headset.